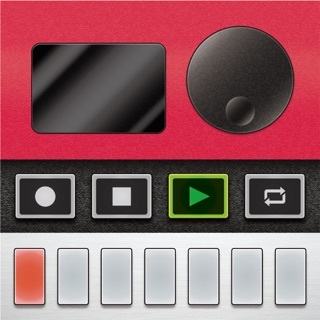 This app has great sounds and a fairly intuitive, user friendly interface. I'd like to use it for live performances but can't seem to be able to consistently hit on a specific pitch when I'd like to. Maybe if this app had the ability to overlay some type of visible grid, it would be easier to consistently hit on a specific note or pitch. I can't use this app in live performance in it's current incarnation because it is just to random for me when trying to nail down a consistent, repeatable rhythm line and then overlay a melody. If that were possible, this app would be a TEN STAR app. 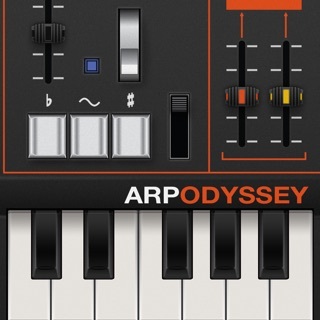 If you are just into random sounds, this app is great. Another neat addition would be the ability to record live samples and manipulate those with the screen interface. I realize that would likely be a higher cost app, but the world is ready for it and NOBODY ELSE has an interface like this. Keep going, you're nearly there. Fun way to generate musical ideas! I love this app. I treat it like an instrument. I love that I can export the loops as audio for use in my DAW. I take them and treat them as samples in maschine, or loops in ableton live, and play with them and mangle them more. 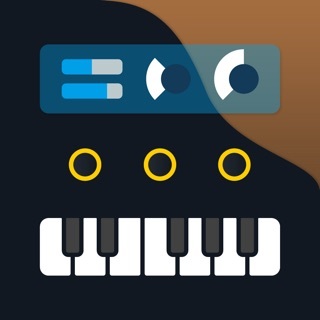 I've definitely come up with the beginnings of some killer tracks (in my opinion) with this app. It's fun, intuitive, and the sounds are pretty great! I would love to see more sound packs in the future. I also think it would be AWESOME if it could export to midi, midi control other sounds (like plug ins from my DAW). Perhaps a full blown plug-in for my DAW eventually? It would be great to have some further tweak-ability options for the sounds, or use the generated midi to apply to other instruments. I got this because I was looking for some deep bass sounds to insert into my live show. The bass sounds ended up being okayish, but there are enough sounds in here that there's a strong chance everyone will find some that they like. I like several of the Leads, the Acoustics --while not sounding especially acoustic-- do sound interesting, and there are a bunch of the sound effects ones that I really like. Would be great if future versions were more customizable and had MIDI, but I still have to say it was well worth the price.